As President-elect slowly rolls out picks for his cabinet, the public continues to find everything wrong, and right, with each one. There are still many poisitons to fill, not the least of which is Secretary of State. 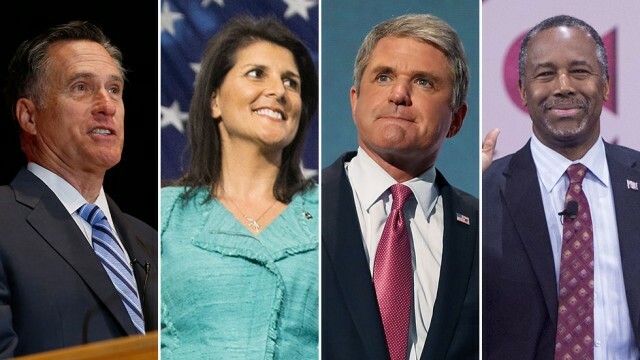 Of those chosen so far, some have been firm supporters of his from the campaign, while others like Nikki Haley and (possibly Mitt Romney) were Never Trump-ers. While Republicans have more of a wait-and-see feeling, many on the left are seeking ways to slow the process down. Keep reading for more perspectives on Trump's cabinet picks. See other news featured by AllSides such as Impact of Carrier Deal, Pelosi Reelected House Minority Leader, Trump Claims Voter Fraud and the latest AllSides News. "Trump is putting together what will be the wealthiest administration in modern American history. His announced nominees for top positions include several multimillionaires, an heir to a family mega-fortune and two Forbes-certified billionaires, one of whose family is worth as much as industrial tycoon Andrew Mellon was when he served as treasury secretary nearly a century ago. Rumored candidates for other positions suggest Trump could add more ultra-rich appointees soon. Many of the Trump appointees were born wealthy, attended elite schools and went on to amass even larger fortunes as adults. As a group, they have much more experience funding political candidates than they do running government agencies." "It’s safe to say Donald Trump hit a home run with conservatives upon naming Senator Jeff Sessions to be his administration’s Attorney General and Stephen Bannon for his senior advisor and co-right-hand-man along with chief of staff designee Reince Priebus. From what I can gather, most conservatives were willing to tolerate Priebus as long as the anti- Washington establishment Bannon was there to balance his presence with Trump in the White House. Fair enough. ...But Trump’s latest picks for the Secretaries of Commerce and Treasury are leaving many conservatives aghast. On Wednesday, Trump’s team announced they’d decided on Wilbur Ross for the Commerce job and Steven Mnuchin to lead the Treasury department.'" "'At the same time, Trump is also behaving as a conventional Republican. He has named GOP establishment figures to top posts – starting with national party chairman Reince Priebus as his chief of staff, and continuing with South Carolina Gov. Nikki Haley as United Nations ambassador, Georgia Rep. Tom Price as Health and Human Services secretary, and former Labor Secretary Elaine Chao as Transportation secretary. In so doing, Trump has reassured GOP regulars and consolidated the party behind him. Trump’s conventional early Cabinet picks took on added significance following two controversial appointments: Breitbart News executive Steve Bannon as chief strategist and Michael Flynn as national security adviser."